Our informational portal www.beautifulwashington.com is NOT a commercial project. We do not earn money. All money received from donations goes to support the shooting of our next project. Recommendation: For better image displaying, set your TV on CINEMA/MOVIE/FILM mode. Incredible video quality and fabulous picture!!! © Marcel Proust – “The real voyage of discovery consists not in seeking new landscapes, but in having new eyes”. We offer you to see Washington State from a new perspective and experience the true beauty of nature. Washington is full of endless discoveries and eye-popping natural wonders. Take a virtual trip to fascinating parks such as Kamiak Butte County Park, Palouse Falls State Park, Steptoe Butte State Park, Riverside State Park. 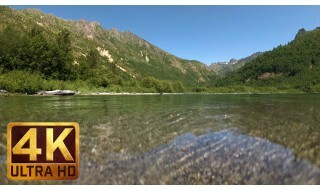 The 6-th episode of “Beautiful Washington" series provides a full immersion into the scenic environment and lets you feel the closeness of nature. Look at the picturesque hills of the Palouse, amazing wind farms of Steptoe Butte State Park and enjoy the powerful Spokane City Falls. Bring nature into your home and enjoy 4K UHD quality on your Oled TV, Samsung 4K HDR TV, Sony 4K TV, LG 4K TV, etc. 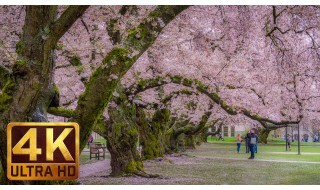 Get closer to nature and enjoy high quality natural scenes by using this 4K video as stunning video walls for any waiting room, lobby, relax room, spa center, public transport, pet shop, gym, hotel, lounge, office, hospital, dental clinic, vet clinic, picture gallery, library and other public places. Ultra HD or 4K is a new standard in image quality, and it's the future of high-end TV sets for your home. 4K resolution is four times that of Full HD 1080p, with about 8.3 million pixels such TV screens display a virtually flawless picture even you view it up close. 4K Resolution opens incredible opportunities to enjoy fabulously vivid colors and picture details as never before. 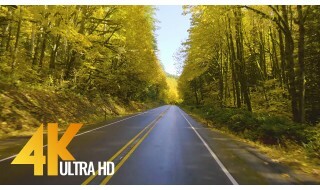 Discover the remarkable world of 4K technology. UHD resolution displays offer sharper and more realistic images than ever before, and you can enjoy a true cinematic experience at home. Video is Available for Download ONLY!!! After the payment received, you will receive a link for downloading the video (within 12 hours).